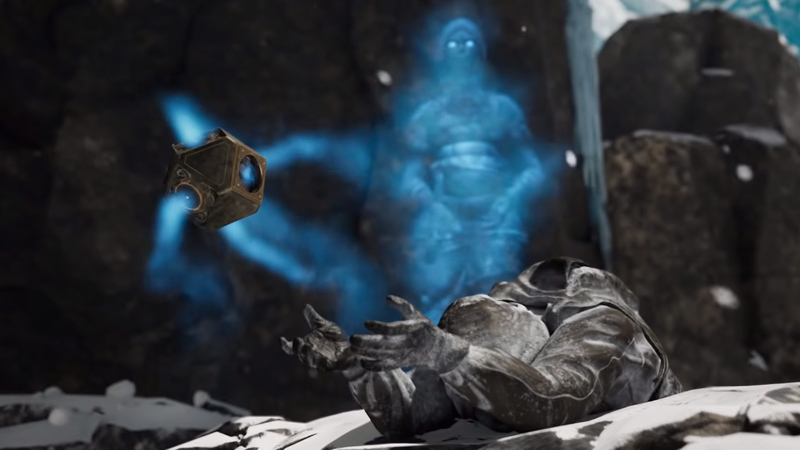 Cyan, the studio behind genre-defining puzzle classics Myst (1993) and Riven (1997), launched a Kickstarter campaign for their upcoming VR puzzle game Firmament. While the campaign initially rushed out of the gate by garnering over 25% of funding in the first two days of going live on March 26th, it appears the momentum has slowed somewhat as it hovers around the halfway mark. 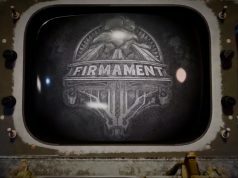 Update (April 8th, 2019): With a little less than three weeks to go before the ‘all or nothing’ crowdfunding campaign comes to an end, support for ‘Firmament’ seems to have stalled somewhat on its quest to reach the $1,285,000 end goal. Currently the campaign is sitting around the $600,000 mark, and has 18 days until the bell tolls, which will take place on April 27th. We’re wishing Cyan lots of luck moving forward as they strive to drum up further support for another highly-polished, atmospheric VR puzzler. Original Article (March 27th, 2019): The studio is searching for $1,285,000 USD in total within the next 30 days. Although it’s an ‘all or nothing’ campaign, Firmament looks to be well on its way to its goal; at the time of this writing the campaign has already garnered over $291,000. Backers at all funding tiers are said to receive the completed game by July 2020. The lowest funding tier offers a digital download of the game for $30, which includes a digitally delivered manual and strategy guide. Owning to Cyan’s iconic puzzle games, many of the higher funding tiers have already seen a healthy glut of backers. At the time of this writing 36 people have donated $1,000 to the campaign. A single backer has also chosen the $5,000 funding tier. 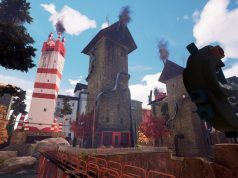 Cyan previously created two successful Kickstarters that helped launch the 25th Anniversary Collection of Myst and atmospheric VR puzzler Obduction (2016). There’s also some more teaser text found on the Kickstarter page which you might find more than a bit tantalizing (Cyan flaunting its storytelling chops). A gasp for air… a release of chilled breath… the crackling sounds of melting ice. You wake in a glacial cavern — perfused by blue. It’s crowded with metal pipes and adorned with curious, clockwork gears. As you enter a dark chamber, warm lights flicker to life, revealing a frigid, yet intimate stone interior, supported by riveted iron beams. In the middle of this room is an ancient table – a tea cup on one end and a frozen body slumped over the other. The corpse’s hands hold an exquisite clockwork device — held out like an offering. …but something has gone terribly wrong. There’s no word at this time on exactly which VR platforms will see support, although it’s clear PC VR headsets will be supported alongside the flatscreen version of the game. We’d imagine this means the standard set: Oculus Rift, HTC Vive, and Windows VR headsets. Check out the whole Kickstarter pitch for a few more clips not seen in the teaser trailer linked above. I like anything from Cyan .. but unless they are already well into development. . 1 year is very optimistic. I’ve always found their puzzles to be over-complicated snore fests but the worlds they create and environments amazing. Will be checking this one out, maybe back it. I agree. It’s more of “what am I thinking” type puzzles, completely random and no real logic or red. I was disappointed by Obduction in that sense. Slow and but beautiful. Not my cup of tea. I don’t think it will make the goal but i hope i’m wrong. I put alot of time into trying to play Obduction, the painfully slow walking simulator, but I had to give up. Even after years of compatibly problems, I endured and finally got it to work dependably with my Oculus Rift, but the game was just tedious. It was SO SLOW, due to the poor layout and absurdly slow walking speed, that even the smallest puzzles could take what seemed like hours. It just exhausted all of my patience. It was SO BORING. As far as plot, Obduction hinged on trickling out vague details in a self-indulgent writing style best encapsulated as “Angsty Teenager”. From just that short video, it’s clear the Firmament is about the same. It’s already got pretensions terms like “The Gateway” and “The Arrival”. Poor writers tell you something is amazing, good writers show you. Cyan has always been all talk. I doubt that’s changed. Without multiplayer it’s a no-buy for me – I have dozens of sp games I’m yet to start lol. Just picked up Battlezone on sale and I’m looking forward to it’s 4 player co-op.